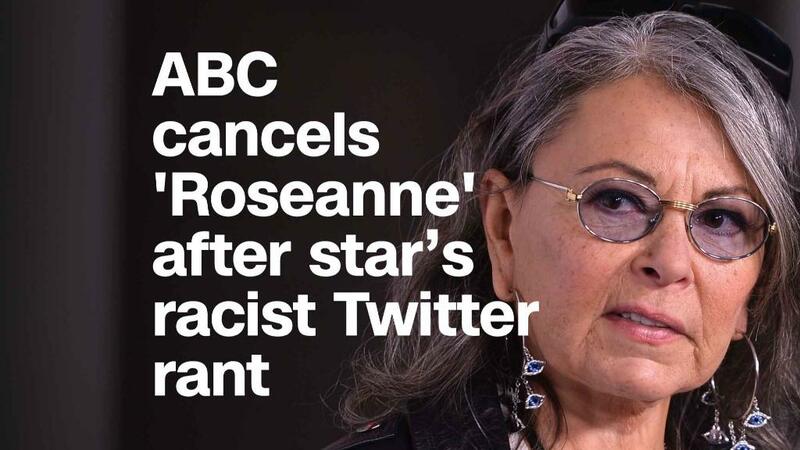 For ABC, getting back into the "Roseanne" game wasn't such a good business move after all. And if network officials are surprised by that -- and the fresh controversy that triggered the show's sudden, shocking cancellation -- they really have only themselves to blame. Roseanne Barr's latest salvo on Twitter -- which included a racist joke about former Obama administration aide Valerie Jarrett, and repeating a smear about billionaire George Soros oddly directed at Chelsea Clinton -- brought the sitcom to a crashing end. In a statement, ABC Entertainment president Channing Dungey called Barr's remarks "abhorrent, repugnant and inconsistent with our values, and we have decided to cancel her show." ABC and its corporate parent, the Walt Disney (DIS) Co. clearly concluded that the benefits of being associated with Barr -- and the criticism they will receive from her fans -- weren't going to be worth the headaches and backlash, which would almost surely have included pressure tactics against the show's advertisers. Disney CEO Robert Iger defended the decision, saying on Twitter, "There was only one thing to do here, and that was the right thing." Simply put, Barr was the loosest of loose cannons. And Disney was no doubt left pondering what the next potentially show-ending crisis might be, if not this one. The huge ratings for the premiere, moreover, had cooled considerably. As MSNBC's Lawrence O'Donnell suggested on Twitter prior to ABC's announcement, "Roseanne's ratings aren't worth today's burden for Disney & ABC. They don't have to be brave to cancel her. Maybe they just have to be good business executives." Barr had already apologized, but that apparently wasn't enough. Part of that surely had to do with a sense that there was no escaping the baggage that the actress/comic brought to the show with her social-media persona. Barr is hardly the first big series star to create problems for a network, including her prior stint on ABC, which began in 1988. CBS, for example, initially stood behind Charlie Sheen -- at the time the star of one of its most popular series, "Two and a Half Men" -- through a series of scandals and flare-ups before finally deciding to replace him with Ashton Kutcher in 2011, after eight seasons. Still, "Roseanne" is unique in certain ways, starting with the fact that the distinction between Roseanne Barr and the fictional Roseanne Conner -- a character rooted in her stand-up act -- has always been difficult to reconcile, as critic Matthew Gilbert pointed out. What remains clear is that ABC had every reason to be cautious about embarking on the project -- not only because of Barr's tweets, but how notoriously contentious her first run with the program was, producing near-constant turnover among the writing staff. ABC officials -- including Iger, who ran ABC Entertainment in the early 1990s -- can hardly pretend that they were unaware about Barr's social-media presence and fondness for promoting wild conspiracy theories. In fact, the question came up last August, when Dungey met with press at the TV Critics Assn. tour after plans for the revival were announced. Asked if she was concerned that Barr might say something "that's going to make this new show untenable," Dungey responded, "I try to just worry about the things that I can control." At the time, the response elicited laughter from the room. For ABC, the situation no doubt feels less amusing now.